On October 25, by the initiative of the State Minister of Georgia for Diaspora Issues, the working meeting between the representatives of ministries was held, attended by the members of the executive branch of the government. The meeting was leaded by Gela Dumbadze, the State Minister of Georgia for Diaspora Issues. The participants of the meeting were Dimitry Khumsishvili – the first Vice Prime Minister, Minister of Economy and Sustainable Development of Georgia; Tea Tsulukiani – the Minister of Justice of Georgia; Mikheil Giorgadze – the Minister of Culture and Monument Protection of Georgia; Lia Gigauri – the Deputy Minister of Education and Science of Georgia; Tsotne Kavlashvili – the Deputy Minister of Finance of Georgia; Eka Sepashvili – the Deputy Minister of Regional Development and Infrastructure of Georgia; Ekaterine Sisauri – the head of National Agency for State Property Management. 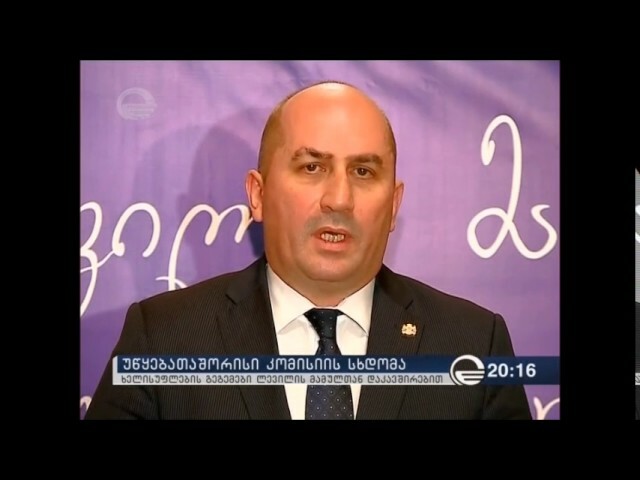 Gela Dumbadze-the State Minister mentioned that from the beginning, the cooperation between the ministries was given a great importance for defining the real future of the Leuville land. After ending the negotiations on the Leuville estate transfer to Georgia and signing the final act of transfer, it is necessary to determine the ministries responsible for ending the further legal issues. Taking in mind, the further functions of the Leuville estate, which implies creating the educational-cultural center, the idea expressed was that the future process of the Leuville land will be directed by the Ministry of Foreign Affairs and the Ministry of Education and Science of Georgia, other ministries will also participate. Gela Dumbadze informed the participants of the meeting, that on November 17, the high-level conference is planned by his office, where the “Leuville estate-past, present and future”- will be the main part. For the participation in the main part of the conference, the Mayor of Leuville; the representatives of the families of the Leuville land heirs; the representatives of the Ministry of Foreign Affairs and the Ministry of Culture of France are invited from the French side. This will create the opportunity to discuss the future of the Leuville land. At the end of the meeting, the participants thanked the State Minister for the work done and agreed on the future plans and cooperation.